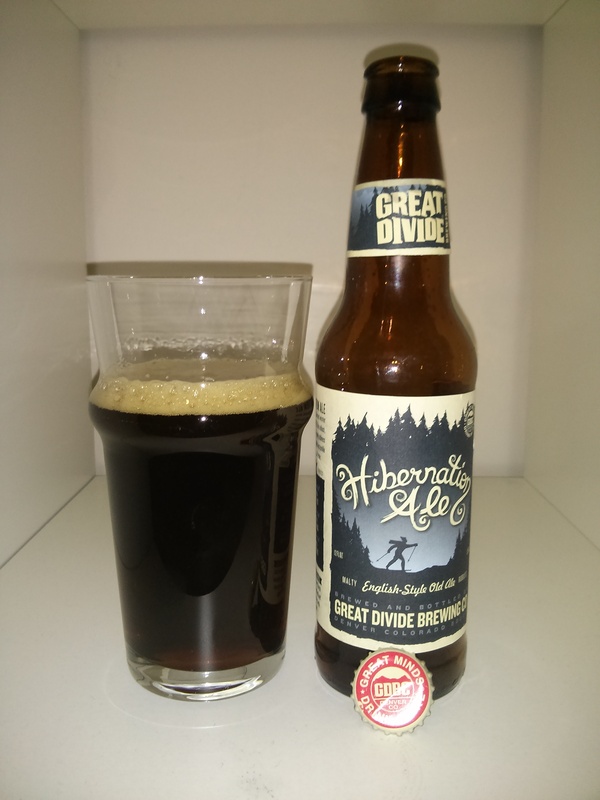 Hibernation Ale by Great Divide is described on the front of the bottle as an “English-Style Old Ale” and also as malty and robust. The head was the usual off-white and disappeared quickly and the colour is a deep rich red-amber colour. The nose gives off a strong and pleasant chocolatey smell and the flavour is every bit as malty and robust as described. With chocolate, hints of caramel sweetness, some nuttiness, general maltiness and a medium bitter hop finish this beer will not disappoint. It also without a doubt falls into the winter warmer category. Rating: 4.5/5 – Delicious, well balanced and full of flavour this is a beer to keep stocked for the coldest nights. Looks like another beer for our calibration tastings!